The travel guides have it all wrong. They’ve reduced Boston to a tea-stained, clam chowder-soaked city with not much more than historic landmarks and far too many cobblestones. Time to set the record straight. Yet according to nearly every travel book, magazine story, blog, and podcast about visiting Boston, these are considered essential pieces of the city experience. It’s time someone said it, so it might as well be me. The Boston that exists in travel guides — all historic with incessant references to crates of tea bobbing nearby in the harbor — is a construct of infertile imaginations. It is simply a lazy amalgamation of what people who live outside Massachusetts think tourists should do. These guides, which actively encourage visitors to waste their time in tourist traps and play up the word wicked as often as they can, should, please pardon the cliché, be banned in Boston. Our tourists deserve better than a bunch of stereotypes sewn together and passed off as an authentic Boston experience. Those looking to live like a local in Boston will not find such experiences on the Freedom Trail or at Mike’s Pastry. Acorn Street, one of few cobblestone streets still remaining, is considered one of Boston’s most charming streets. And it’s one of Boston’s only streets, if you believe the guidebooks. Fodor’s description of the city: “Boston has come a long way from 1773, when a band of revolutionaries tossed 342 chests of tea into the harbor.” I’ve read sixth grade history reports that were more enthralling. Would this excite me enough to visit the city? Absolutely not. That’s a little better, at least we’ve progressed beyond the Revolutionary War to “barrier breaking.” I’m not sure how it’s possible that Boston is so consistently misread, but I’m reticent to subject any out-of-town guests to many of the banal activities that are consistently listed as the city’s best. It gets worse. Like the Red Line at rush hour, Condé Nast completely went off the rails with a recent podcast on Boston which found one host encouraging listeners to visit “Boston Commons.” Is there a second Common that’s been in hiding for 380 years? Show yourself! If I was naively reading or listening to this poppycock, I would envision Boston as a small college town drowning in tea with two Commons and more cobblestones than Lisbon and London combined. Bostonians, it’s time for a new fight for independence. This time it’s for freedom from lazy travel guides and the stereotypes that are besmirching our good name. I’m not exaggerating when I tell you that the number one attraction in every Boston travel guide is the Freedom Trail. If you’ve never sought out the Freedom Trail, it is 2½ miles that are chockablock with multiple burial grounds, churches, two state houses, several Dunkin’s, and a Chipotle. This is a must for history buffs. I’m not going to pooh-pooh the Freedom Trail, but I might challenge its haughty top standing. Just once I’d love to see a guidebook recommend starting a tour of local history at the Mount Auburn Cemetery (yes, I know it’s in Cambridge). Or start in Copley Square, head over to the Boston Public Library for tea, and then walk over to the Public Garden, but sidestep the Commons, I mean the Common. That wasn’t so hard was it? It’s a bit different, but absolutely not radical. If visitors want radical history, I have those suggestions, too, such as a salty drag show at Jacques Cabaret, a Bay Village fixture since 1938. Too much? Fine. Play Jenga and Ping-Pong with the bros at the Lawn on D in South Boston. 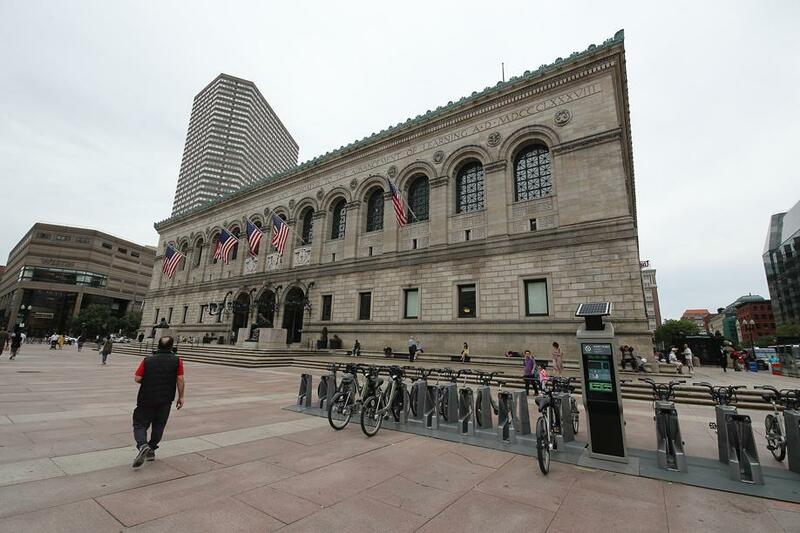 Why get coffee or tea at a chain when you stop at the Boston Public Library while walking around Copley Square? If I had friends coming to Boston, I’d point them in the direction of the Harbor Walk, the Rose Kennedy Greenway, and the Boston Public Market. I’d recommend Chinatown for dim sum. I’d send them to restaurants in Somerville and tell them to chase their meal with Vienna Finger Cookie ice cream from Toscanini’s, and then get a drink at Yvonne’s or Delux Cafe. 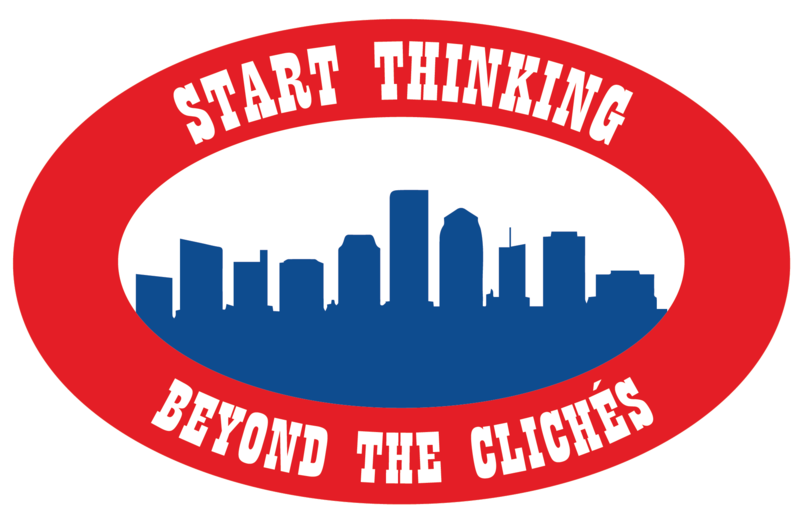 Please travel guides, start thinking beyond the clichés. Also never, under any circumstances, call the North End “Little Italy.” Also, there are vibrant food neighborhoods aside from the North End-not-Little Italy. These guides send tourists shopping on Newbury Street where they can browse in luxury chain stores that they already have back home. Why not point them in the direction of Charles Street? I’m a fan of the shopping between Harvard and Porter squares in Cambridge. There’s also a lot to be had at the SoWa Market during the warmer months. And in the name of all that is holy, keep them off those duck boats. I shook in horror when I overheard one duck guide tell a group that Downtown Crossing first became a shopping district when Paul Revere set up a silver shop there. A better way to see the Charles River is to rent a kayak. I’m not going to write a travel guide to Boston in this column. There isn’t enough space. I’m simply here to let out-of-towners know that there’s more to Boston than the Old North Church, Harvard Yard, and Acorn Street in Beacon Hill. 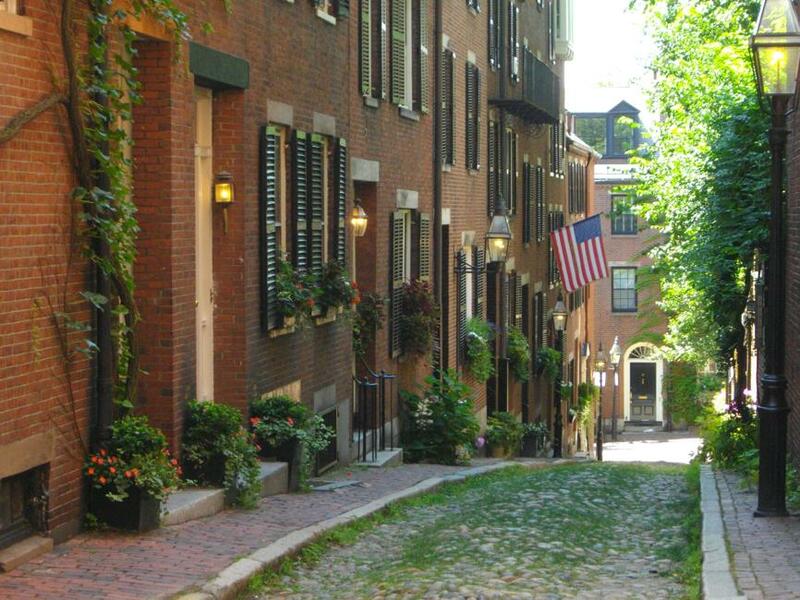 The iconic picture of Acorn Street is about as overused in Boston tourism as maps of the Freedom Trail. Also, most of the Boston streets I walk don’t resemble Acorn Street. Not all travel guide suggestions are bunk. The Isabella Stewart Gardner Museum is deservedly always in the top five. Fenway Park is also usually in the top five, although my advice would be to eat at a Tiffani Faison restaurant on Boylston Street before a game, and not at the ballpark. Strangely, the ICA sometimes misses these lists. Or maybe it’s not so strange given how off-the-mark they can be. My heart would soar if a book or article recommended the Black Heritage Trail in the same sentence as the Freedom Trail. Then again, what do I know? I’m just a simple travel writer who has lived here 25 years. Go to the Museum of Fine Arts, but please add the Harvard Art Museums to the list. Go to the Arnold Arboretum and bike the Emerald Necklace. If you’re looking for a historic Boston restaurant with character, go to the Marliave. There are about 1,000 more suggestions, but I’m going to stop here, otherwise I really will start writing a book. I posed the question “If you had friends coming to visit, where would you take them?” on social media. I got some great responses, such as the observation deck at the Custom House clock tower and the Taza Chocolate tour. Others were not as unique. Some local friends offered trite suggestions such as Legal Sea Foods, Quincy Market, and the ever-present Acorn Street. I fear these guidebooks are inflicting lasting damage on us. They’re beginning to trick Bostonians into believing that their city is the stereotype it’s often presented as. If it continues, the brainwashed masses will think of Boston as little more than a place to get a steaming bowl of clam chowder topped with oyster crackers and served with a mug of beer from that place where everyone supposedly knows your name, but sadly, nobody does. There are about 1,000 more suggestions to be made, but here are some ideas to get you started, whether you’re planning to visit Boston or you have friends asking you for advice. This trail showcases spots around Boston that were central to the lives of Black Bostonians in the 19th century. Learn more here. Grab a coffee or a tea here while making your way around town. Its impressive collections make it as much a museum as a library. Learn more here. There’s something going on every night at this LGBTQ+ establishment, whether it’s a drag performance, a comedy show, karaoke, a DJ night, or any combination of the above. Learn more here. The Massachusetts Convention Center Authority’s Lawn on D, known for its signature glow-in-the-dark swings, hosts various food festivals, live music, and outdoor movies. Learn more here. If you want to take in the waterfront attractions, meander along Boston’s HarborWalk, which includes 40-plus miles of pedestrian- and bike-friendly public access at the water’s edge. Learn more here. The Greenway runs from Chinatown to the North End, and is often a great spot to find food trucks. Learn more here. Tell us what "touristy" things you actually enjoy in Boston. Where would you send out-of-town visitors?